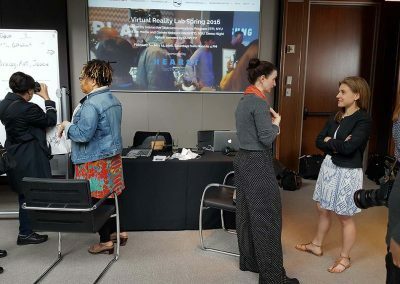 Given Powell’s understanding of content creation for traditional mediums (stage, film, TV), she believes that longer term development vehicles are necessary in the immersive space. 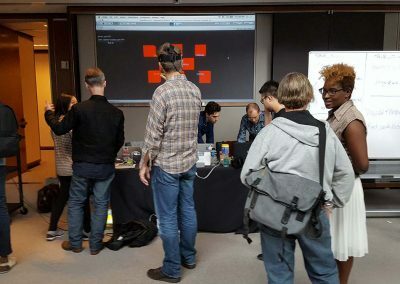 While hackathons and weekend workshops are helpful to inspire new work, artists require more time to not only train in 3D technologies but also collaborate with each other to implement XR applications. 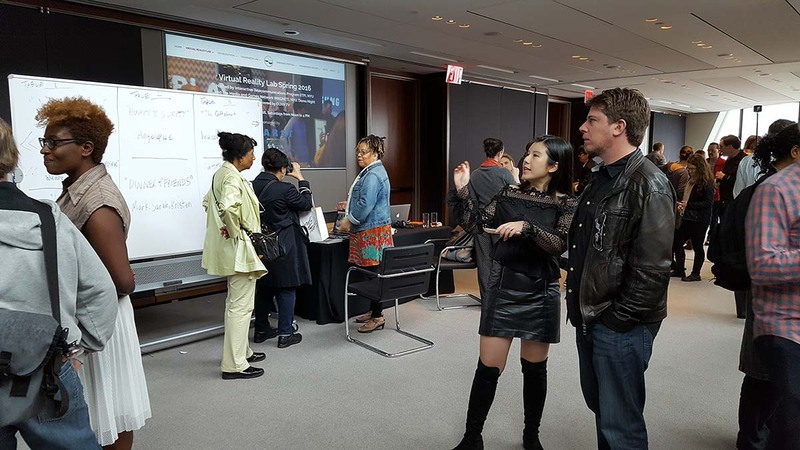 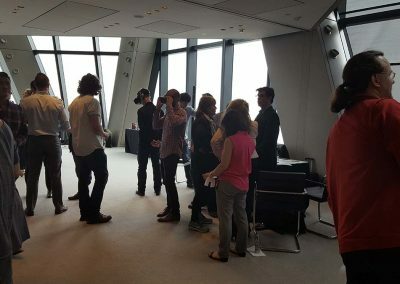 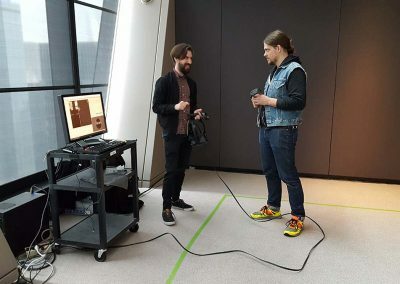 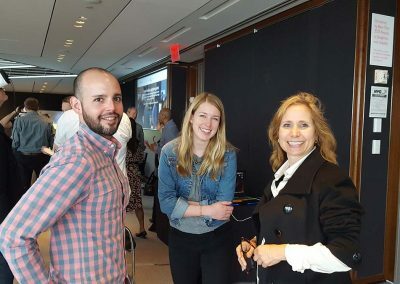 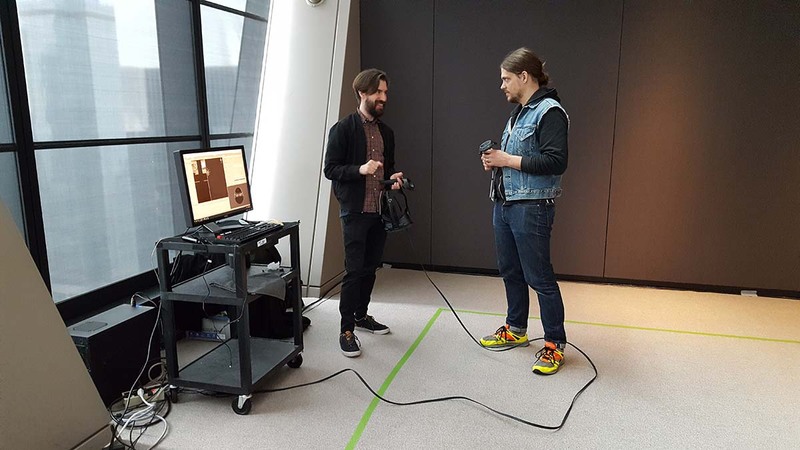 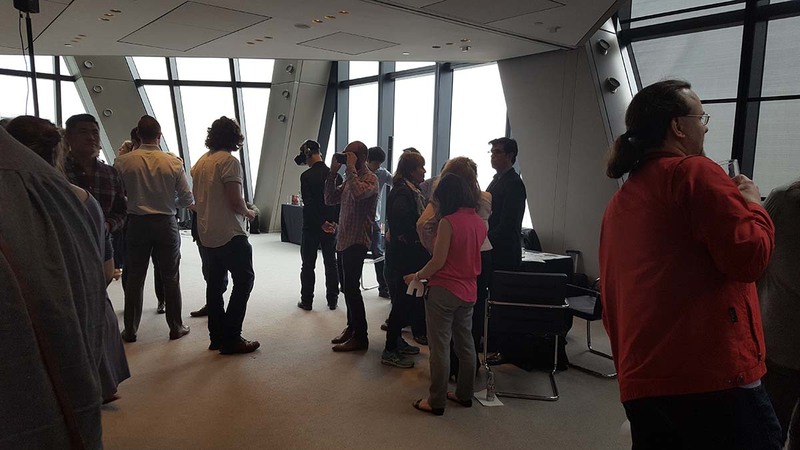 In 2017, the lab was conducted in partnership with the NYU Game Center as host and supported by TIME Inc. (2017) and Oculus. 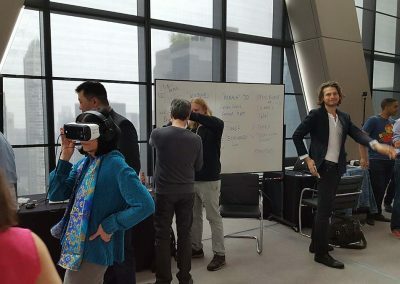 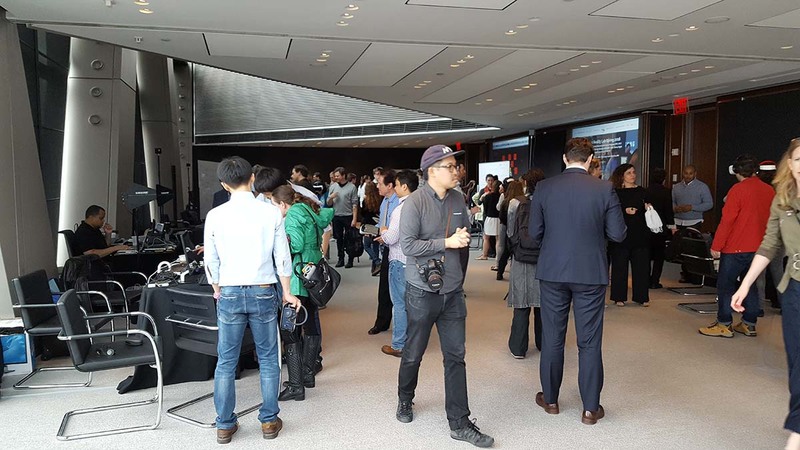 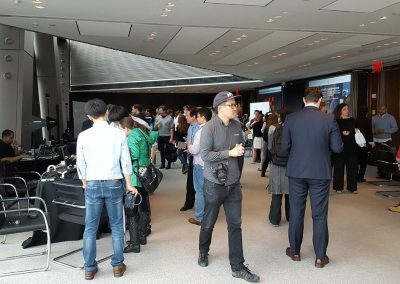 Previous sponsors of the lab exhibition day include Hearst Technology (2016) and Samsung (2015). 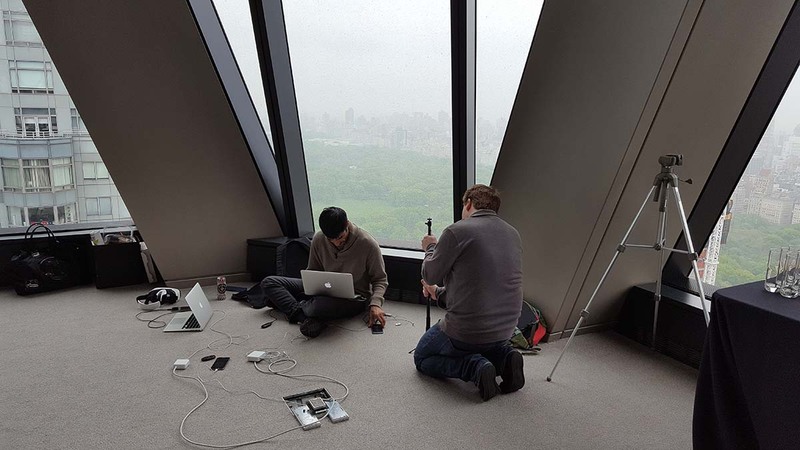 The lab progresses in 3 phases: Train, Design and Build. 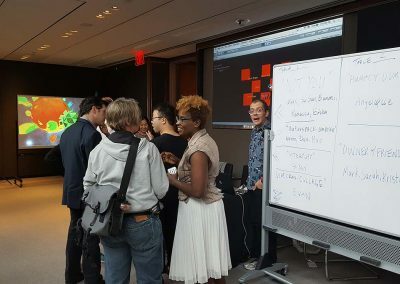 Phase 1 Train: Unity Bootcamp – The first three sessions (3 weeks) are dedicated to acquiring a foundation in XR development and training in Unity 3D. 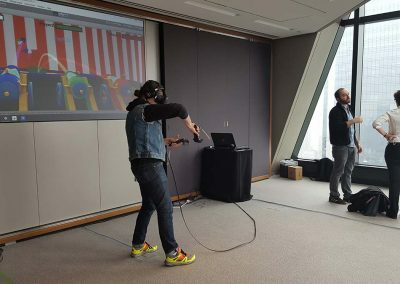 During Phase 1, Participants develop a simple XR application using a game engine and Cardboard. 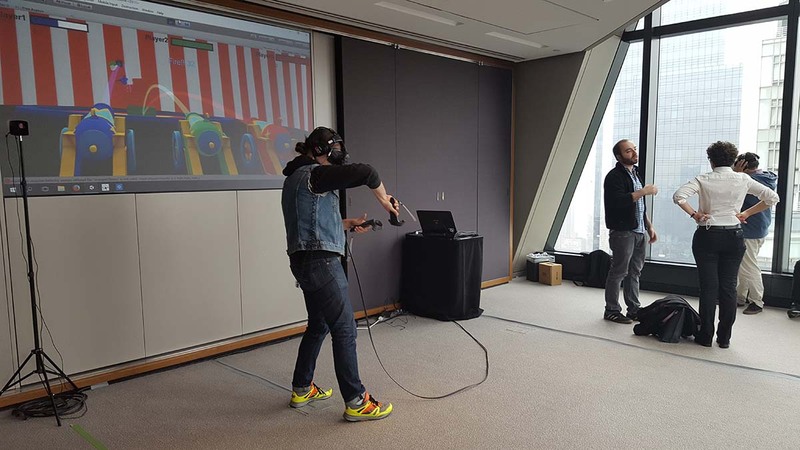 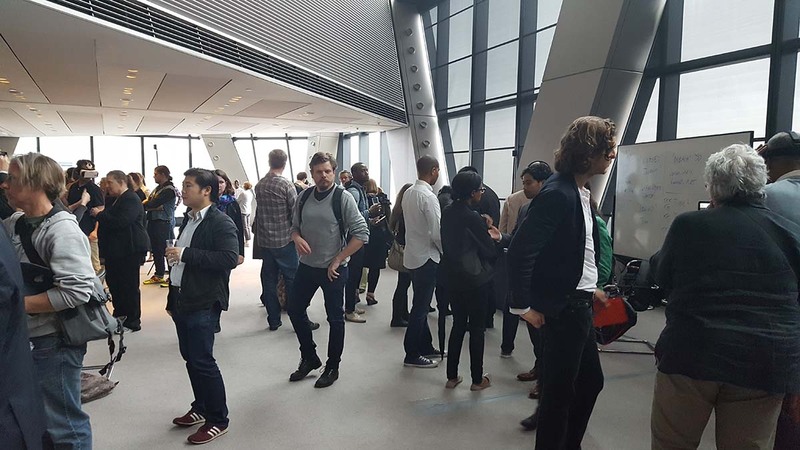 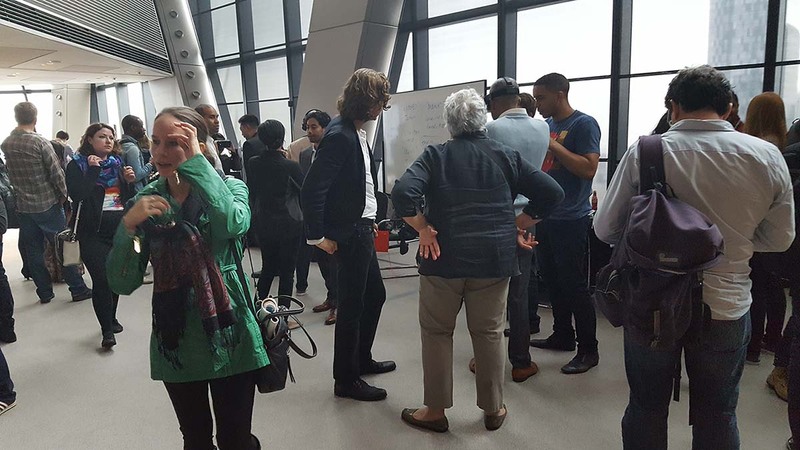 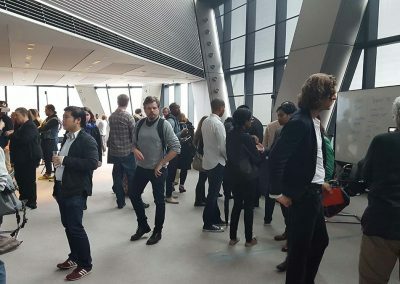 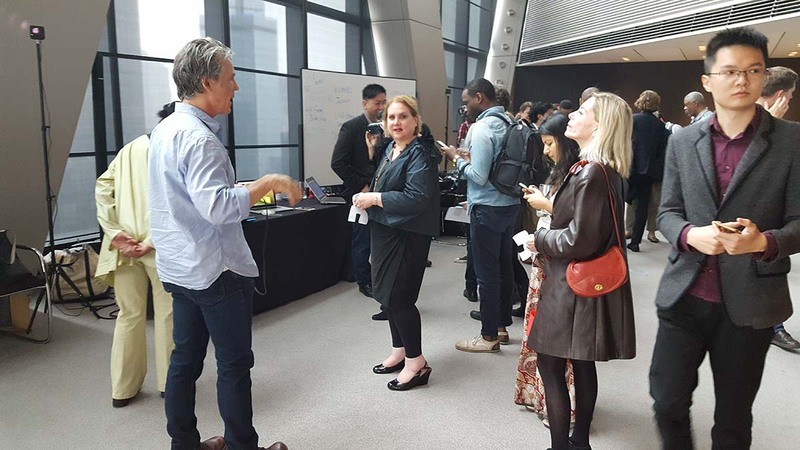 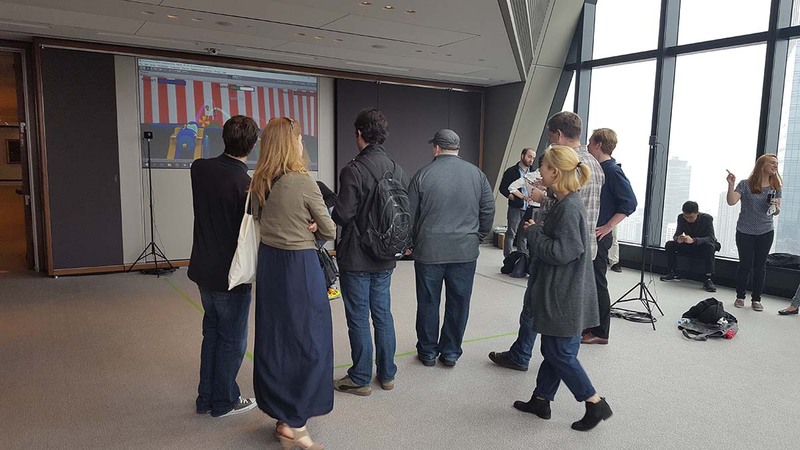 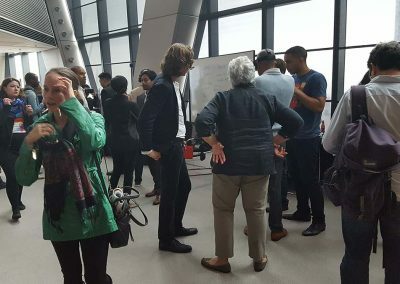 Phase 2 Design: Concept, Story & Interaction – The next few sessions (2 to 3 weeks) cover designing XR concepts, stories or games and forming teams to implement a demo. 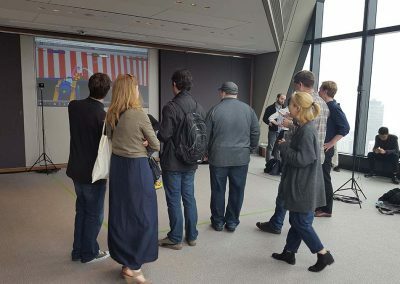 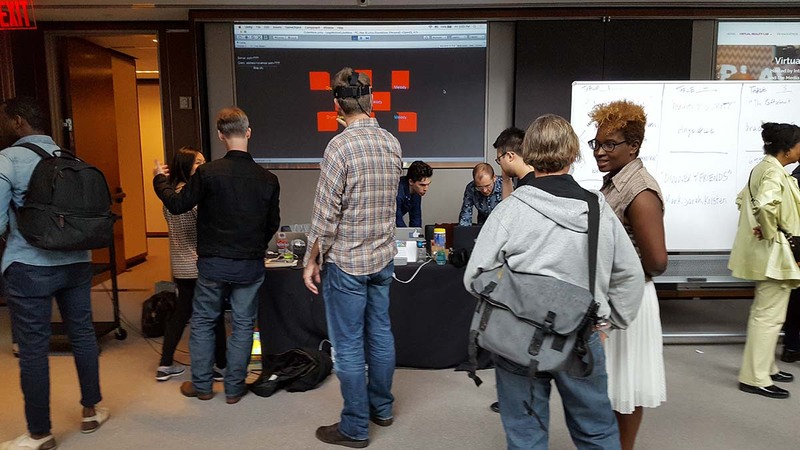 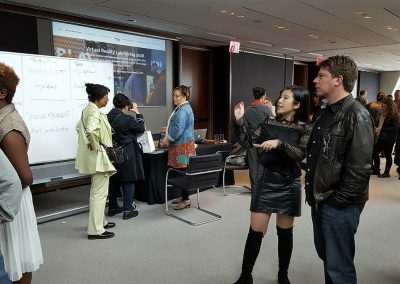 During this phase, participants address the various components of an XR application – e.g., narrative flow, art, interaction design and input devices. 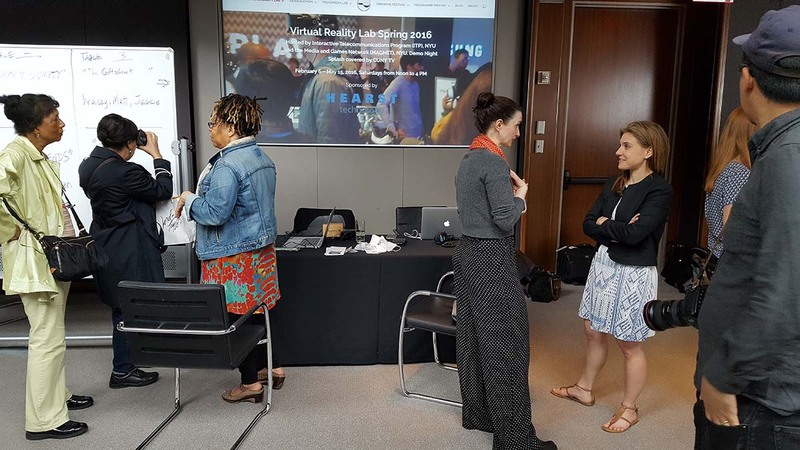 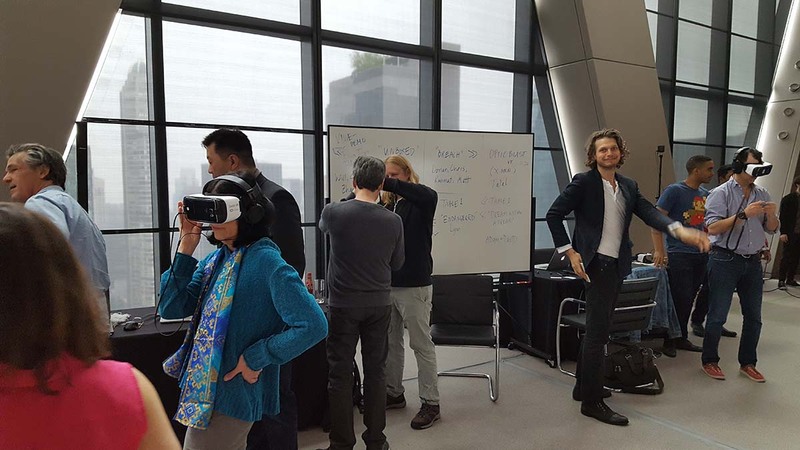 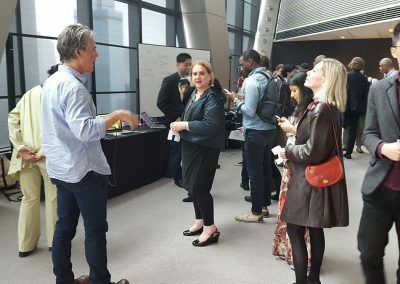 Phase 3 Build: Implementation & Demo – Six to seven sessions (6 to 7 weeks) focus on building an XR application for Cardboard, Gear VR or the Oculus Rift. 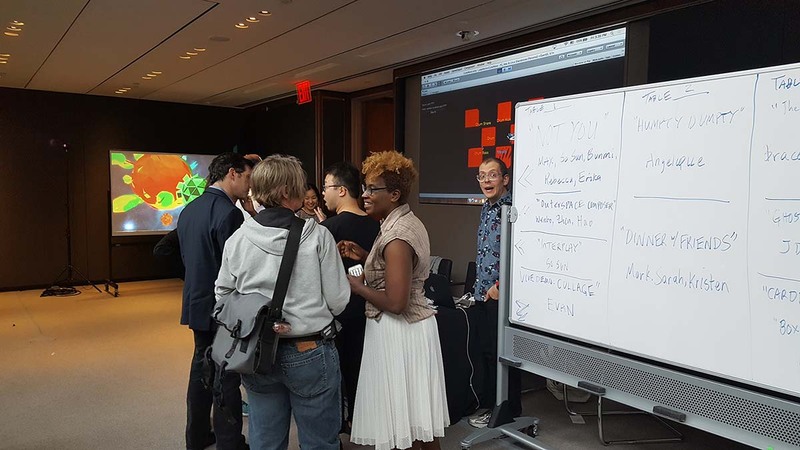 At the beginning of each session, participants share their progress and any difficulties that emerge during development. 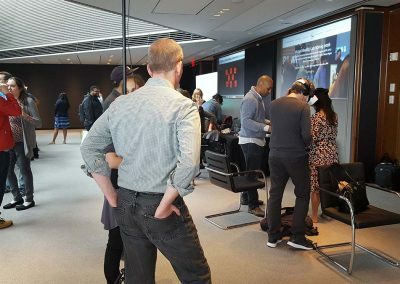 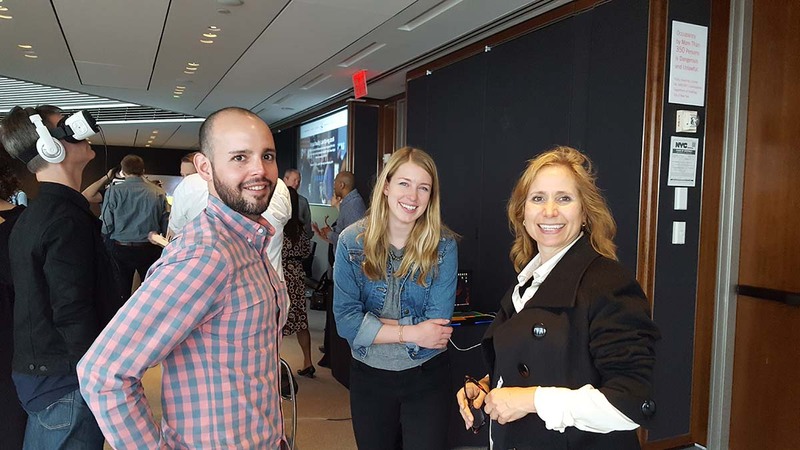 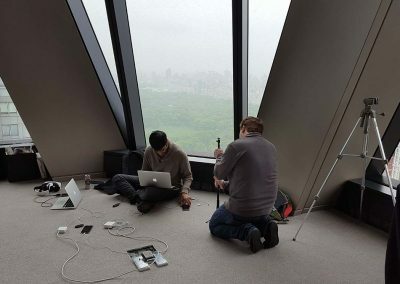 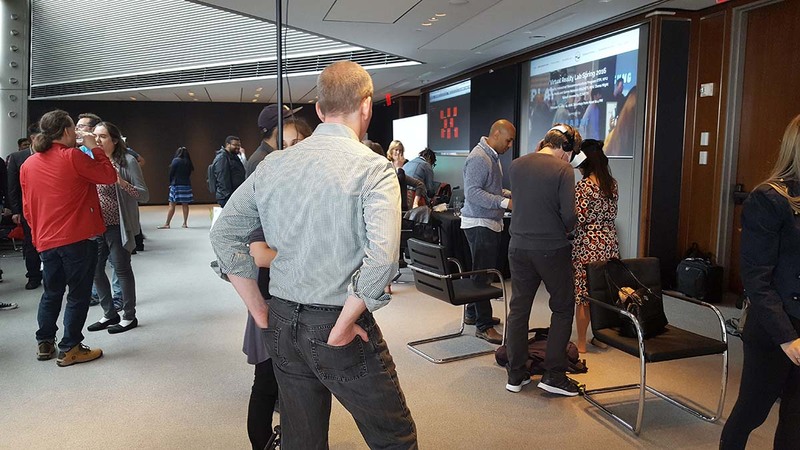 Evan Harper turned Hearst Tower into a stunning interactive VR experience.